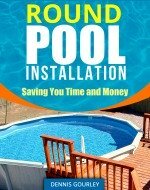 Are you ready to do a vinyl liner replacement in your above ground pool? Here are a few suggestions that could save you time and money. Especially if you are paying a professional installer to do the job for you. You should of course check with your installer before doing these things just to be sure that is his preferred method. It is better to ask these things up front than to find out later that is not the best way of doing things in your area. Using a razor blade remove the liner from just under the top rail. Cut the liner into small enough pieces to toss out of the pool. Examine the base for sink holes, roots and grass. Examine the wall for rust. Examine the coping for signs of age. Examine skimmer and return gaskets. 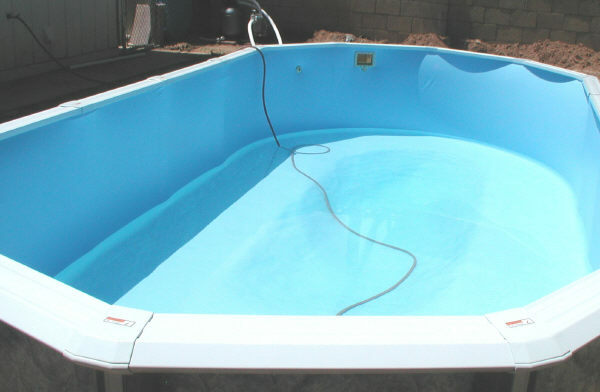 When preparing for a vinyl liner replacement it is very important to have the pool completely empty. An installer is not usually equipped to drain a pool. If arrangements have been made prior to the installation date then that's different. If the installer shows up and has to finish the draining of a pool, be prepared for the extra charge. Once the pool has been pumped or siphoned to the lowest point, cut some holes in the liner and allow the rest of the water to sink into the ground. Next, it is a good idea to get inside the pool and remove the liner. Do not take the pool apart. Just use a razor blade and cut the liner out a few inches down from the top rail. To make removing a large liner from a pool easier it may be necessary to cut the liner into thirds or fourths. Once the liner has been removed you can check the pool base and side walls. If you have a sand base with some sink holes a couple of bags of play sand from a nearby hardware store will usually be enough to level them out. If the bottom of the pool is full of tree roots they should be removed. If doing this messes up your pool base you may need some more sand to smooth it out. If there are grass and weeds present pull them and treat the area with a grass and weed killer. You should also check the pool wall very closely for any signs of rust. Rust spots should be sanded and painted. If you have an overlap liner it is secured to the sidewall with coping strips. These plastic strips are then covered with the metal stabilizing rods. 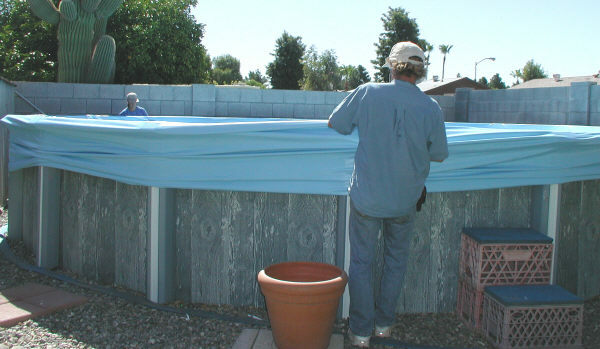 There is usually enough of the coping below the rods to allow for an examination, without taking any of the pool apart. The coping should be pliable. If it is old and brittle it will fall apart as you pull on it. If in doubt have new coping on hand, what you do not use can always be returned. A rule of thumb about gaskets. Rubber gaskets are usually reusable, anything else should probably be replaced. If you are in doubt have new ones on hand. This is an important checklist if you are installing the new liner yourself. If you hired me to install the new liner for you, and I found all these things done when I arrived, don't be surprised if I give you a big hug. Learn more about vinyl liners here.